The American Society for the Prevention of Cruelty to Animals (ASPCA) is one of the biggest animal welfare organizations in the world. ASPCA believes that all animals deserve good treatment. They focus on rescuing abused animals, placing them in safe homes, and protecting them. The ASPCA has rescued over 47,000 animals. The ASPCA focuses on issues like dogfighting, puppy mills, abuse of farm animals, and animal homelessness. They work to rehabilitate animals like dog fighters or puppies from puppy mills. The ASPCA often partners with shelters to help animals get adopted. Many rehabilitation centers exist across the US, where volunteers can work with animals to reduce the animals’ fear of humans. Hands-on rehabilitation is not the only way that the ASPCA protects animals. The organization also dedicates themselves to changing the laws to protect animals. Their legal advocacy program provides prosecutors and officers with legal guidance on animal cruelty laws. The ASPCA truly cares about their animals, and they strive to turn the lives of abused animals around. To learn more about the ASPCA, visit www.aspca.org. An animal welfare organization, the Humane Society of Greater Miami is unrelenting in its commitment to provide all dogs and cats in its care a welcoming home. This is achieved through teaching pet ownership responsibility and maintaining spaying and neutering programs. All pets have access to shelter, a veterinarian, and plenty of TLC as they await adoption by a loving owner. The Humane Society of Greater Miami’s commitment to helping homeless animals has been going strong since the late 1930s. The organization oversees a pair of veterinary clinics in Cutler Bay and North Miami Beach focused on pet overpopulation reduction. The clinics have successfully performed thousands of sterilization surgeries. Additionally, Humane Society offers certain services at no cost for those dealing with financial hardship, including spay/neuter programs. The Humane Society of Greater Miami’s efforts has resulted in thousands of pets finding a welcoming home as the newest family member. Before the animal is ready for adoption, it receives a comprehensive health checkup and all vaccinations are administered. 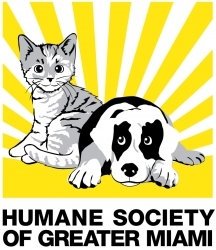 For more information on The Humane Society of Greater Miami including how you can volunteer, please visit http://www.humanesocietymiami.org/. Focusing heavily on endangered species, The David Sheldrick Wildlife Trust (DSWT) continues to protect and preserve Africa’s rich wildlife and its incredible wilderness, especially animals such as elephants and the critically endangered black rhino. The trust is now one of the world’s most successful in spearheading orphan-elephant rescue and rehabilitation. The DSWT name comes from naturalist and founding Warden of Tsavo East National Park, David Leslie William Sheldrick MBE. After his death in the late 1970s, his wife Dr. Dame Daphne Sheldrick D.B.E chose to carry on his memory by founding the trust in his name. The DSWT focuses heavily on its Orphans’ Project, which has successfully rescued and rehabilitated numerous elephants and rhinos. The project has been especially effective in protecting against ongoing wildlife threats such as poaching. Today, DSWT has raised more than 100 infant elephants and successfully returned them to their natural habitats through exceptional reintegration efforts. The DWST and Mrs. Sheldrick have received lots of recognition. Among them, Sheldrick was presented an M.B.E. in 1989 and she received an Honorary Doctorate in Veterinary Medicine and Surgery by Glasgow University in June 2000. For more information on The David Sheldrick Wildlife Trust and ways you can donate visit https://www.sheldrickwildlifetrust.org/. The New York-based Hetrick-Martin Institute remains relentless in its mission to help today’s LGBTQ youth. Since it began, it has seen exponential growth, expanding from a handful of volunteers into a widely recognized provider of social support and programming for youths considered to be at risk. These individuals have richly distinct backgrounds and are generally between the ages of 13 to 24. In 1979, doctors and life partners Emery Hetrick and Damien Martin joined forces to launch Hetrick-Martin Institute. After coming across the story of a homeless fifteen-year-old boy who was beaten and kicked out his home because of his sexual orientation, the two decided to do something about it. Together with volunteers, the two began the organization’s mission to help youth, originally going by the name of Institute for the Protection of Lesbian and Gay Youth before adopting its current name in the late 80s. Today, the Hetrick-Martin Institute has managed to launch numerous successful programs, helping thousands of individuals. Its HIV prevention programs continue in full force, with tons of participants and it has trained thousands of individuals. For additional information on the Hetrick-Martin Institute please visit http://www.hmi.org/. The home of the Frost School of Music is none other than the prestigious University of Miami, perhaps best known by its UM acronym. The music school also goes by the name of Shalala Music Reach and it is named after the former university president Donna E. Shalala. 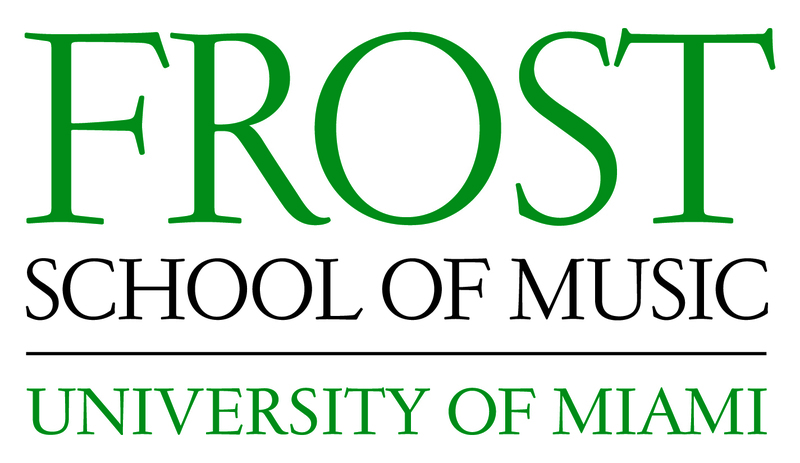 Frost School of Music’s mission is to instill growth and development in students through studying and performing the art of music, a goal that promotes better communities. Students are encouraged to become musical ambassadors of peace, promise, and understanding and many of them have richly diverse backgrounds. Since being established in the late 1920s, Frost School of Music has since achieved a high level of prestige and national recognition. The school became one of the first to launch degree programs centered around music, including Music Therapy, Studio Music and Jazz and it has since expanded into Graduate degree programs. The school is also the first to have a label and publishing company overseen by its students. 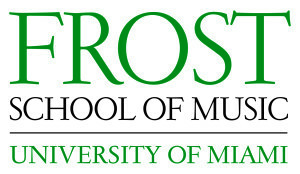 For additional information regarding the Frost School of Music please visit http://www.miami.edu/frost/index.php. Millard Dean Fuller is the person responsible for Habitat for Humanity. Fuller wanted to find ways to assist his less fortunate neighbors and would go on to launch Koinonia Partners in 1968. The organization centered its efforts on Partnership Housing. Utilizing a “Fund for Humanity”, the donations received were used for purchasing building materials so that volunteers could get together to build a home for a family. The families would then be given time to pay back the material costs without having to worry about interest. Before he passed away in 2009 at the age of 74, Millard Fuller has already received countless awards and honorary degrees. In 1996, former President Bill Clinton awarded him the Presidential Medal of Freedom, the nation’s highest civilian honor. For additional information on Habitat for Humanity, volunteer opportunities, or if you wish to donate visit http://www.habitat.org. Since 1997, 4KIDS of South Florida has helped nearly 20,000 children in having a welcoming home. These homes are provided thanks to the kind hearts of individuals who wish to make a difference, government agencies, churches, and corporations. Despite being among the strongest economies in the world, half a million children in America are forced to live in group homes, with foster parents, or worse, on the streets. Many of these children also suffer abuse. 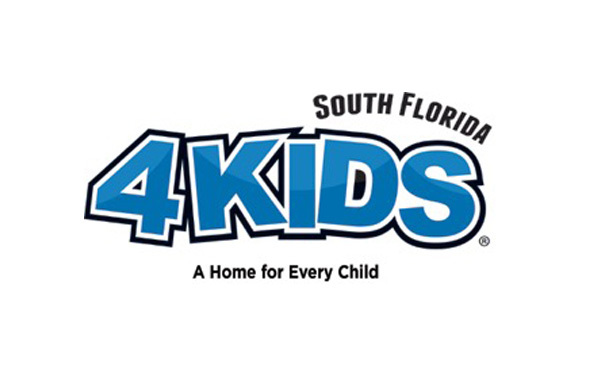 4KIDS of South Florida continues to focus relentlessly on its goal of providing “A Home for Every Child”. For close to two decades now, this vision along with a strong partnership continues to play a pivotal role in helping to make a difference in the lives of children. These efforts allow 4KIDS to hold true to its never-ending mission of “Providing Hope for Kids in Crisis”. Thanks to 4KIDS, its now has a reputation extending across the United States, and it remains a strong example of how to effectively assist children dealing with a crisis. 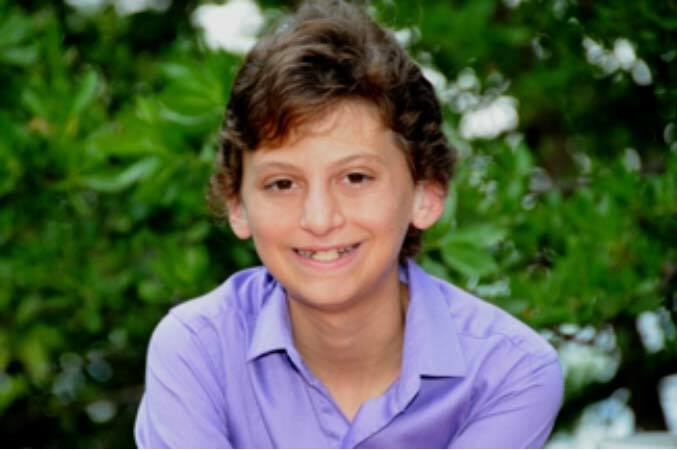 Should you wish to learn more about 4KIDS of South Florida, please visit http://www.4kidsofsfl.org/. Dana Albert “D.A.” Dorsey cemented his place in history as the first African American millionaire in Miami. 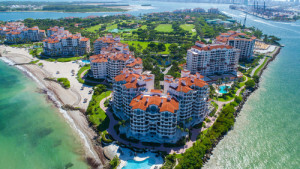 He also has strong ties to Fisher Island as it was he who sold the famous parcel of land to Carl G. Fisher, a land that would go on to become one of the most acclaimed, private, and upscale neighborhoods in all of the southeastern United States. The Dorsey House in Miami’s Overtown neighborhood is one of the remnants of Dorsey’s vast legacy that still stands in the city. However, the home that was once considered a mansion has fallen into significant disrepair, with a damaged roof and decaying walls that could use some upkeep. The Black Archives History and Research Foundation of South Florida is now looking to restore the home to its former glory and has already received more than $100,000 in grant money from the City of Miami to start focusing on restoration efforts. However, additional funds are needed to complete the project. Should you wish to contribute, you can donate directly to the foundation or visit the website GoFundMe to make a contribution. To learn more about Dana A. Dorsey, check out the blog posted in June which sheds a little more light on him. The Holocaust Documentation and Education Center (HDEC) is a non-profit organization that has sought to preserve a historically accurate record of the Holocaust since its founding in the early 1980s. For more than a decade now, HDEC has cultivated eyewitness accounts from individuals who lived through the Holocaust to create a rich history of this dark period. The HDEC also aims to teach people the Holocaust’s various lessons through programming and exhibitions, focusing on important and timely issues such as prejudice, racism, and bullying. Among the HDEC’s many goals, it was successful in getting all Florida public schools to implement a Holocaust education program after one-time Governor Lawton Chiles signed the Florida Statute 1003.42. The HDEC is working on debuting the South Florida Holocaust Museum with ambitious plans in store, including a fully restored rail car and a US Army M3A4 Sherman tank. Once it opens, visitors will find photographs, documents, and other items that pertain to the Holocaust. Currently, HDEC’s extensive research and reference library consist of over 5,000 books, DVDs, journals, and videos. For more information about The Holocaust Documentation and Education Center, visit http://hdec.org or call 954-929-5690.